Arkham Horror: The Card Game – The Secret Name - New Addition! Bohnaparte conquers the Bohnreich! The fourth Bohnanza expansion from Lookout Games (in a limited sales edition of 2500 pieces) puts you in the Bohnreich! Plantations, villages, cities, fortresses -- and 3 to 5 generals, who want to bring these under their control. The Bohnanza base game is needed. 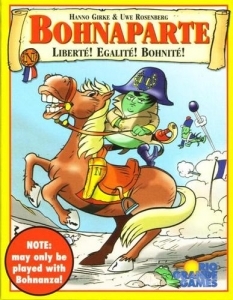 Using new cards in Bohnaparte, the Bohnreich is laid out; each player receives counters of his own color; and play then loosely follows that of normal Bohnanza, with a small difference: earned bean coins are not saved but are used to finance your conquests throughout the Bohnreich. At the end it matters only who has the largest part of the Bohnreich under control. Battling is accomplished using the numbers on the bean cards, which gives new significance to the formerly "weaker" bean types. Designer Hanno Girke describes the expansion set as "Bohnanza meets Risk". 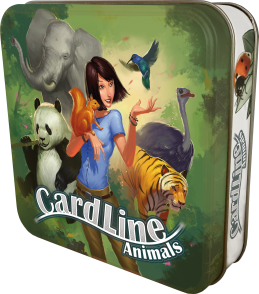 Cardline: Animals is a card game played with approximately 100 cards. Both sides of each card depict an animal, its name, and its class (amphibian, mammal, etc. ), while its average length, weight, and lifespan are printed on only one side of the card. For each game, players decide before playing whether they're comparing animal lengths, weights, or lifespans. The first player to get rid of all her cards by placing them correctly wins. If multiple players go out in the same round, then everyone else is eliminated from play and each of those players are dealt one more card for another round of play. If only one player has no cards after a bonus round, she wins; otherwise play continues until a single player goes out. 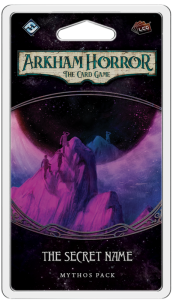 Called to Arms is the second Chapter Pack in the War of Five Kings cycle for A Game of Thrones: The Card Game. The banners have been called in the War of the Five Kings. In the north, Robb Stark gathers his armies around Riverrun, preparing to strike out at Tywin Lannister’s forces. Joffrey Baratheon has ascended the Iron Throne in King’s Landing, Renly Baratheon has been crowned in Highgarden, and on the islands of Dragonstone and Pyke, Stannis Baratheon and Balon Greyjoy plot their own rise to power. Before long, great armies will march onto the field of battle, while subtle intrigues and assassins’ daggers decide the fates of countless others. Like Across the Seven Kingdoms before it, the Called to Arms Chapter Pack continues to follow the events of A Clash of Kings. A new King version of Balon Greyjoy challenges all enemies of the Iron Isles, even as two new attachments give you ways to crown your other characters and make them Kings. You’ll also find iconic characters like Dolorous Edd and Shae entering the game for the first time, even as other cards lend new importance to loyal cards. 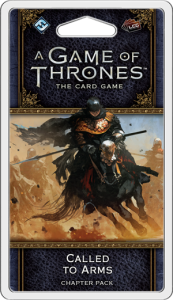 Finally, this pack continues to introduce a focus on the seasons of Westeros with two new agendas!